Palm Springs high waist bottom with lace up sides and scalloped edge. We do not recommend wearing Marysia swimwear in very chlorinated water or exposing it to something that might result in a stain. 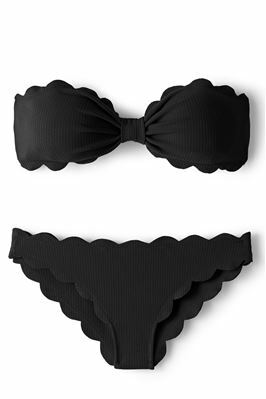 In order to maintain the special fabric of this swimwear, fabric is not treated with chemicals to make it resistant to stains or discoloring.